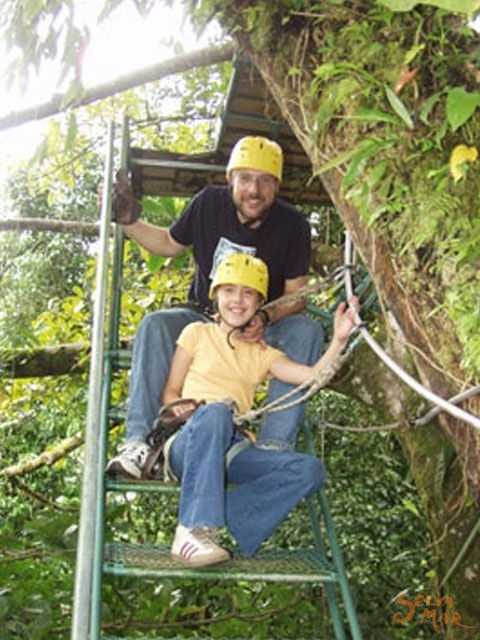 One of the vogue attractions in for many tourists is to take a real Canopy Tour. 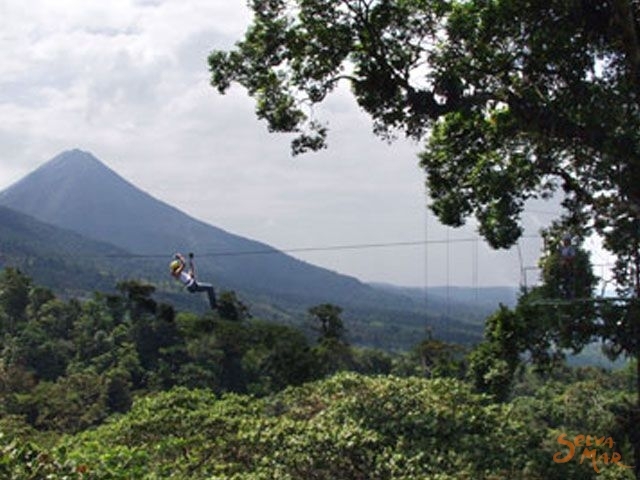 This canopy is at the foot of the mountain range where Arenal volcano is located. The view of the volcano from within this rain and very humid forest is spectacular. The tree top canopy has twelve platforms and ten zip lines. The platforms are at an elevation of 150 feet. The shortest cable is 195 ft. and the longest is 1200 ft. It makes the adventure more exciting and high adrenaline. The adventure begins when you arrive at the stables and the guides give you a safety briefing. 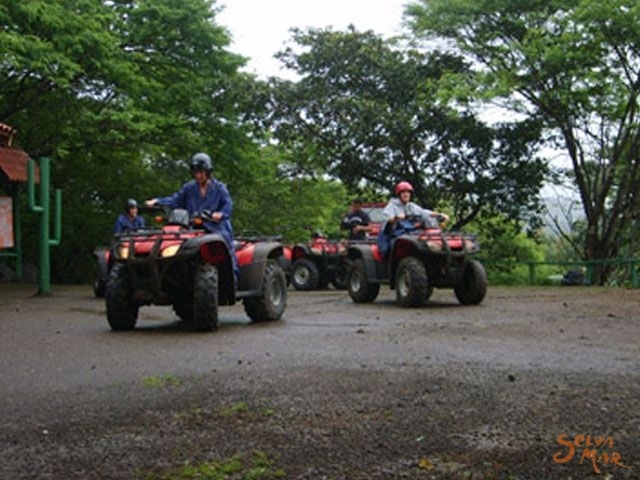 You then get fitted up with your equipment, mount up, and ride 45 minutes through a pasture and wooded area that is host to monkeys, sloths, toucans, and other birds. 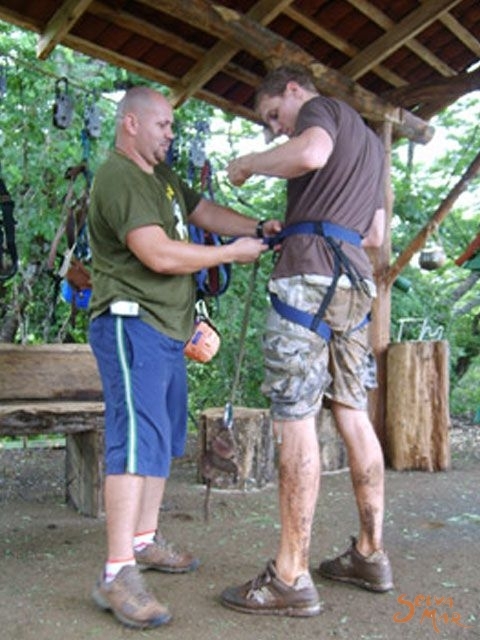 When you arrive at the canopy, you are given the balance of the necessary equipment. Then we continue with a short hike through the forest where a guide gives an informative narration about the forests, plants, and trees that prevail in this kind of tropical area. Sometimes it is possible to see several species of animals, such as: white faced and howler monkeys, rodents, and a great diversity of birds, as well as an enormous variety of orchids and canopy plant life. The trees are adults that tower above the platforms. This activity can also be done with no horses. 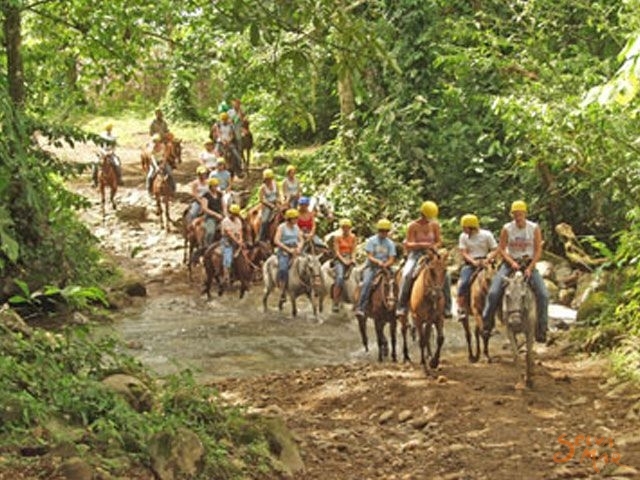 If one does not wish to horseback ride and would prefer just doing the Canopy Tour, please advice the agent at the time the reservation is made. 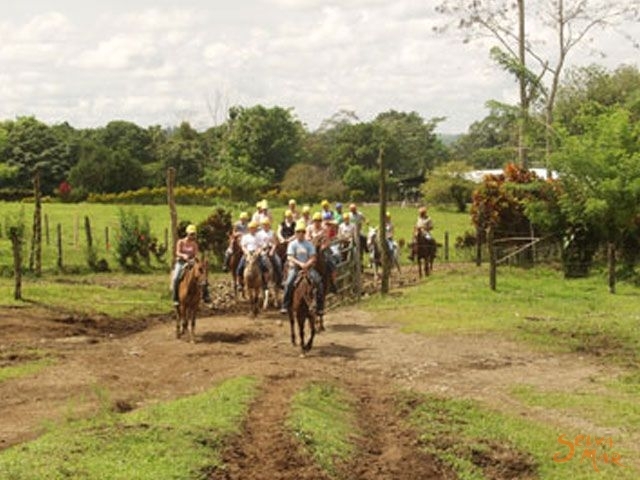 The total time required for horseback riding and the canopy tour is approximately 4 hours 30 minutes. 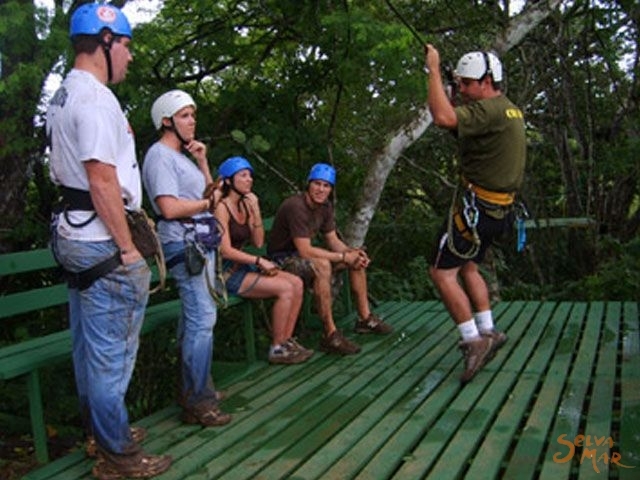 The Canopy Tour with out the horseback riding takes 3.5 hours. 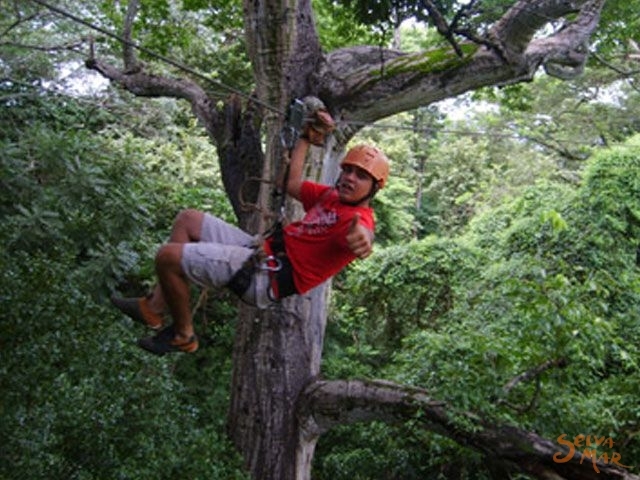 The tree top canopy tour not only offers a great adventure but also an opportunity to observe wildlife in its natural habitat. On each platform the adventurers also have a chance to observe the forest from different angles and to photograph the beautiful landscapes. All the platforms are designed for observation of wildlife and not to damage it. Trees like Cocora ( billia hippocastanum ), Monkey’s Comb ( apeiba membranacea ), and Capulín ( mortoniodendron apetala ) are just a few of the trees that you will see. Maybe this Canopy Tour is one of the last that you could see into a real primary forest. 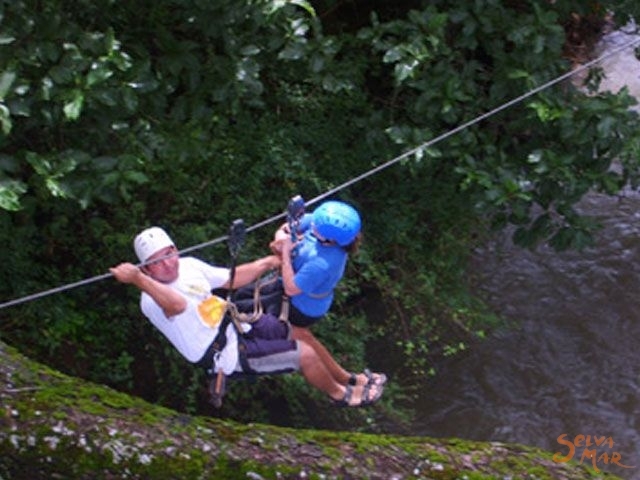 The CR Arenal Canopy Tour, satisfied the regulations of The Association for Challenge Course Technology, ACCT, in the . We accomplished all the safety standard rules: helmets, crowd control, redundancy, and safety rules and protocols recommended by ACCT. Also, the materials used to build the platforms and cables are the best available. All of the harness equipment is professional quality and is purchased in the . 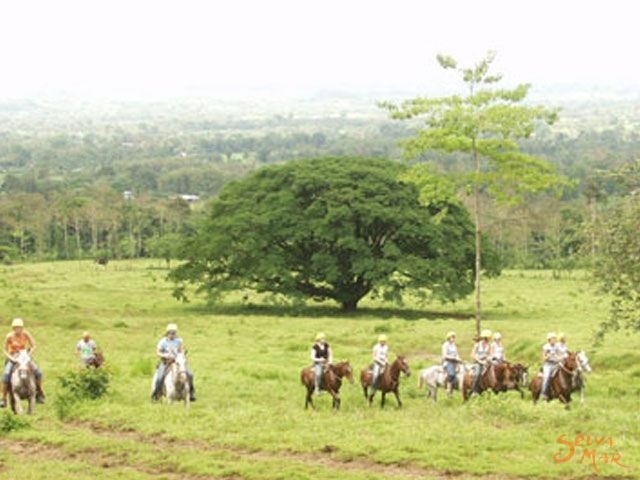 We are certified by the Costa Rican Tourism Board or I.C.T., and we are being inspected frequently by them. Flying high over the canopy of primary and secondary forest and feel what live means for nature. To Bring: Long pants (for riders), camera, binoculars, closed shoes. Requirements: Sign the Waiver, Be over 4 years old and less than 65.